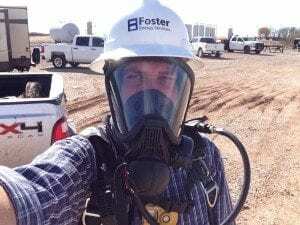 Foster Energy continually trains in new, innovative practices for our company and our industry. Our people are our most important asset. Their safety and well-being are first priority. We screen our contractors to make sure they have safety certifications and experience in the latest technologies and safety programs. Foster Energy Services meets or exceeds all MSA requirements and has a 100% accident free safety record. Experience and knowledge are the book-ends of our excellent safety record.